For new-age election strategy firms like CA, the digital footprints that people leave behind while using social networks and mobile applications are the secret to influencing voter behaviour. What do Nitish Kumar and Donald Trump have in common? They have both used the data analysis tools of Cambridge Analytica and its affiliates to win elections. New Delhi: The website of Cambridge Analytica – a controversial data analytics and election strategy firm currently in the centre of a storm for allegedly harvesting the personal data of nearly 50 million Facebook users without their consent – states that its association with India goes all the way back to the Bihar state assembly elections in 2010. “CA was contracted to undertake an in-depth electorate analysis for the Bihar Assembly Election in 2010. The core challenge was to identify the floating/swing voters for each of the parties and to measure their levels electoral apathy, a result of the poor and unchanging condition of the state after 15 years of incumbent rule,” its section on India notes. The voter research and psychological profiling firm points out that its client (Janata Dal United) achieved a “landslide victory, with “over 90% of total seats targeted by CA” being won. In the 2010 election, the JD(U), which was already in power in Bihar, increased its seat tally from 88 to 115 in the 243-seat assembly. Its partner at the time, increased its seats from 55 to 91. 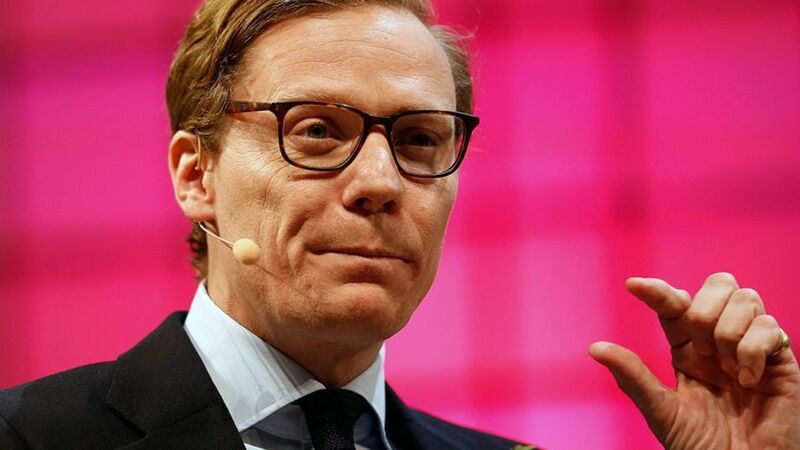 The only catch, however, is that Cambridge Analytica (CA) was officially formed and created only in 2013 by its parent company, the London-based Strategic Communications Laboratories (SCL) Group. 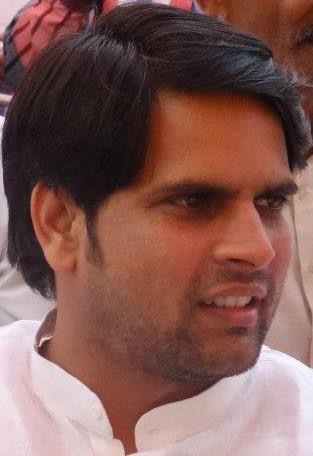 SCL’s roots and work in India – from 2010, starting with the Bihar state elections – came from an unlikely source: Amrish Tyagi, the son of senior Janata Dal (United) leader K.C. 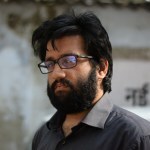 Tyagi, who runs Ghaziabad-based Ovlene Business Intelligence (OBI). OBI is Cambridge Analytica’s go-to company on the ground in the Indian subcontinent. “If you are going to pitch any big client, they require experience. We can use their experience, they can also use our experience. We collaborate our expertise, there’s nothing wrong with that,” the 39-year-old Amrish Tyagi told The Wire, when asked why CA listed the 2010 Bihar elections as part of its work portfolio when it clearly didn’t exist then. “We complement each other’s services. From the ground-level, we conduct the data [sic] and we share with them,” Tyagi added. Who are Tyagi and CA’s big clients on the horizon in India? According to multiple reports, the firms could be looking to land the Congress and BJP and offer their services for the upcoming 2019 general elections. OBI’s own website already lists both parties as clients. Cambridge Analytica and its parent firm, the SCL Group, are, to put it bluntly, in the business of understanding and changing the behaviour of voters. They claim that by analysing huge amounts of user and consumer data – and combining it with its secret sauce, a behavioural science model – they can “identify the most persuadable voters” and “move them to action”. Even before this weekend, the company’s role in the 2016 US election, which saw Donald Trump elected, and the Brexit vote has sparked controversy and attracted the intention of regulators and government officials across multiple countries. A few dozen Facebook likes, they claim, can help in revealing everything from preference for a particular political party to what extent one may be vulnerable to substance abuse. In 2015, when it burst into the scene of American politics, Cambridge Analytica boasted that it had “5,000 data points on every American” and claimed that it had used it to build “extensive personality profiles” that can be used for “psychographic targeting”. The strength of their [Kosinski and his Cambridge colleagues] modeling was illustrated by how well it could predict a subject’s answers. Kosinski continued to work on the models incessantly: before long, he was able to evaluate a person better than the average work colleague, merely on the basis of ten Facebook “likes.” Seventy “likes” were enough to outdo what a person’s friends knew, 150 what their parents knew, and 300 “likes” what their partner knew. More “likes” could even surpass what a person thought they knew about themselves. While the efficacy of such methods has been hotly debated, there is little doubt that CA and SCL have managed to market these tools well, turning it into a lucrative business. This weekend, news broke that in 2014, Cambridge Analytica had hired a UK-based research firm (Global Science Research, GSR) to harvest nearly 50 million Facebook profiles – the majority of which were collated and collected in violation of Facebook’s policies. Essentially, GSR collected this information through an app on the site – it collected not only the details of American users who were paid to take a personality test, but also wrongly (and likely illegally) hoovered up the data of the test takers’ Facebook friends. One day before the news broke, Facebook announced that it had banned Cambridge Analytica over allegations that it had held onto improperly obtained user data even after promising that it had deleted the information. On Monday, following the telecast of a Channel 4 investigation in which Cambridge Analytica executives are filmed tellings reporters – who posed as Sri Lankan clients looking for an electoral edge – talking of dirty tricks including the use of bribery and honey traps, British officials were quoted as saying they would seek a warrant to force the firm to hand over the data it had used in some of its election-related campaigns. In an interaction with The Wire, Tyagi denied that such tactics were used in any of OBL’s political campaigns in India, but also refused to admit that Cambridge Analytica or SCL had done anything wrong. “Nothing has been established yet. They [CA and SCL] are looking after the issue. I am in touch with their senior officials and they are denying the allegations. They are looking for legal action against whoever is trying to malign them. I also don’t think they have breached any ethical or legal rules here in India,” he said. The relationship between Tyagi and Strategic Communication Laboratories (SCL) goes back over seven years now. SCL’s raison d’etre is to provide “data analytics and strategy to governments and military organisations” and over the last 25 years they have “conducted behavioural change programs in over 60 countries”. Tyagi says that they started out by complementing each other’s offerings – especially in South Asia by “providing logistics” among other services. SCL’s website lists two major projects in the Indian subcontinent, both of which deal with psychological profiling. One, they carried out a campaign in Nepal to help the government “reduce and ultimately stop large numbers of Maoist insurgents from breaking into houses”. And two, a separate initiative in Afghanistan to “understand the behaviours and attitudes of the local Afghan population regarding sensitive topics such as religious affairs and local governance”. Tyagi and some of SCL’s senior management – including Cambridge Analytica CEO Alexander Nix, the man currently in the centre of the Facebook controversy – evidently had ideas of establishing a firm India presence. Documents from the corporate affairs ministry show that Ovleno Business Intelligence (through Amrish Tyagi) and SCL set up and incorporated an India entity in late 2011 (called Strategic Communications Laboratories Pvt Limited), with Alexander Nix also coming on board as a director. Other founder directors included one Avneesh Kumar Rai and Alexander Oakes. It’s unclear what SCL India actually has done since then – OBI’s website describes it has having “permanent offices in ten states…with a further 30 branch offices, some 300 permanent employees and over 1,400 consulting staff”. Tyagi, however, is vague about SCL India and its goals. He states that the “plan was very simple” – “to explore political and social projects in the Indian subcontinent”. However, he points out that nothing has “happened yet”, implying that both SCL India and Cambridge are yet to get to work in the country’s vast electoral campaigning market. OBI and Tyagi, however, have worked on a number of political projects in India – starting from helping the BJP’s Rajnath Singh in the local Ghaziabad elections in 2009 to working on the 2015 Bihar and Delhi assembly elections. The JD(U) leader’s son, insists though that no Facebook-specific psychological profiling is done here in India. However, it’s clear that digital data plays an increasingly relevant role. “Most of the information we gather is in public domain. Based on where you shop, the music you buy from the Apple store, trips to the hair salon. It’s easy nowadays to identify individual tastes and habits. And then accordingly, create messages. Everyday we receive commercial messages,” he stated in an interview in 2017. Being able to quickly react to social media warfare also appears to be key to OBI and Tyagi’s strategy. During the Bihar elections in 2015, Tyagi points out that a photo of Nitish Kumar hugging a tantrik started going viral. “We had to counter this. Within a few minutes we came out with a 2014 photo of Smriti Irani in which she was showing her hand to an astrologer in Rajasthan who told her that she will very soon be the president of India. You have to be very quick to counter,” he pointed out. His second-in-command, according to the OBI website, is one Himanshu Sharma, whose profile indicates that he managed “four election campaigns successfully for the ruling party BJP” including achieving “Mission 272+ by managing a call centre management project”. Sharma also apparently helped in “confidentially maintaining the database to be provided constituency-wise to BJP candidate as an additional support for national elections and state elections of Haryana, Maharashtra, Jharkhand and Delhi”. While Tyagi concedes that the people at SCL and Cambridge Analytica are “technically very sound”, he insists that they have not helped OBI and its campaigns in a “digital capacity”. OBI’s work mostly consists of on-the-ground management including looking at demographic and caste dynamics. “We don’t require it [digital profiling] yet,” he says. However, he believes that Cambridge Analytica hasn’t done anything wrong.